What started as a grey and raining morning in The Hague – Scheveningen, turned into a day with champagne sailing conditions. We had to wait a little, but around noon the sun came out, the wind picked up and the chop machine was turned on! During the first race on the South Course, the wind went from 5 to 15, maybe even 20 knots, there was a lot more wind and waves then the forecast showed us, no complaints here! 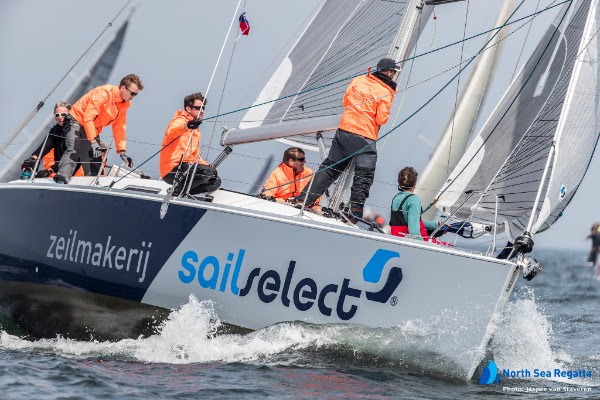 At the end of the North Sea Regatta Dutch Championships will be crowned in ORC 2, ORC 3 and ORCTwoHanded (offshore and inshore races combined). ORC 1, ORC 4 and J111 have their Class Championships and the J22 will have a new World Champion. Results of all classes are published on our website. Photos can be found on the North Sea Regatta Facebook page. 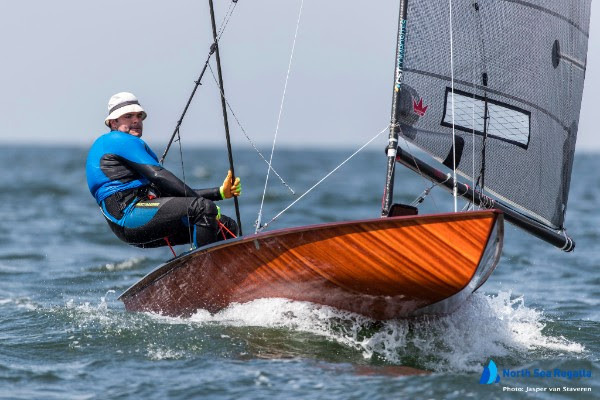 Nic Bol, the 2010 J/22 World Champion, is now in the lead at the J22 Worlds. Nic is sailing with his brother Chris Bol, Niels de Vries and Tim de Weerdt. At this moment, the top three here in Scheveningen is exactly the same as the top three boats at the worlds warming up event on the Braassem. The results on the Manage2Sail website only the results of the first six races are visible, the full results can be downloaded in pdf. SAP Sailing Analytics is providing the North Sea Regatta with the latest technology which makes it possible to follow the races online for friends and family. For sailors the SAP Sailing Technology is a perfect way to analyse their performance after the race. Follow the fleet during the Worlds 2017 with SAP Sailing Analytics. 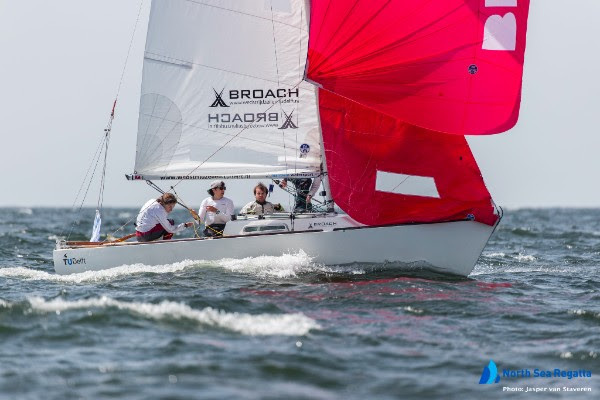 The acrobatic Contenders are excited to be back at the North Sea Regatta! The ORC sportsboats class is a mixed class with MaxFuns, a Fareast, a Mazurka and one Sonar. The Sonar crew Hans Cheung, Nienke Conijn, Nynke Plaatsman and Marleen van Nes show that being disabled doesn’t mean you can’t take part in normal sport events. 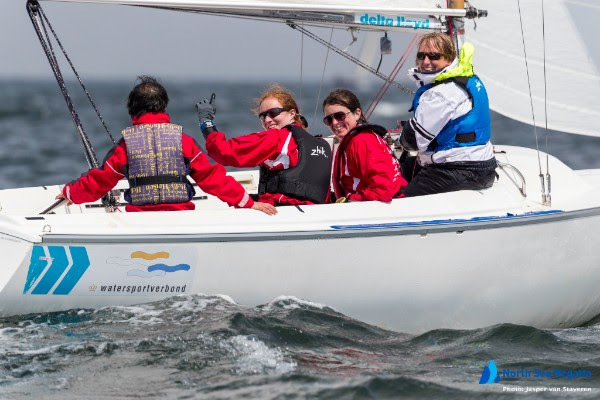 The team started sailing together two years ago, they are now part of a bigger movement, called the Dutch Adaptives Sports Team. All members of this team have a certain physical handicap but they all take part in groundbreaking sport events.